For many people, Valentine’s Day conjures up a world of anxiety. If your relationship is still on its first trip around the sun, you probably have some questions about how far to take things. If you’re in your 15th year, well, a little romance never killed anyone. (Except Romeo & Juliet but that’s a rare case.) 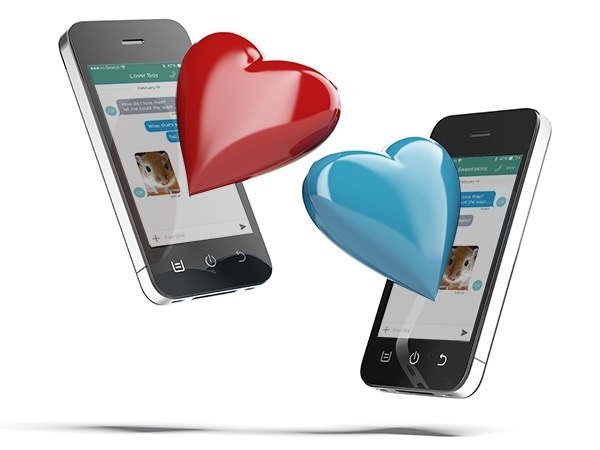 Either way, you may want some guidance on sparking romance with VoIP. As software developers — I’m sure you’re aware — we’re pretty smooth with the ladies, so we’ve put together some ideas for romancing your Valentine throughout the big day using Voxox. How sweet would it be to get a free text with a romantic saying each hour on Valentine’s Day? It’s the digital version of those venerable yet ubiquitous candy hearts. Start at eight a.m. with a quote from Byron. Follow that at nine with something from Shakespeare. Since you’re using Voxox, you can send free texts all day long. What a great way to demonstrate how much she or he is constantly in your thoughts. Does the thought of your sweetheart make you so love struck you’re at a loss for words? There are many websites that can help you find the perfect ones. If you’re looking for some romantic ideas, try Twoology.com or beautiful-love-quotes.com. Sending a free text with a beautiful photo or two is sure to get your sweetheart reminiscing. Hint at a possible vacation destination with a photo of the Eiffel Tower at night. Beach pictures always conjure a feeling of tranquility. You can find lots of free romantic photos to send at all-free-download.com or send a picture with a quote from imgfave.com. Ready to go out on a limb and make it personal? Send a free video text of you expressing your feelings. Keep it short and sweet. Reminders like this will surely get your sweetie’s heart fluttering. Since sending in-network texts with video attachments is free with Voxox, you can share as many videos as you want. Send your sweetheart on a scavenger hunt where the hidden treasure is you! Free text your location for the beginning of the hunt and continue texting your location, leading her or him around until you both wind up at a romantic meeting spot. When English words fail, try saying it in French, la langue de l’amour. Using Voxox’s Text Translation feature, you can simply turn on Enable Translator and choose from any of 60 languages. Your free text message to your honey is automatically translated in real-time. Reply texts are also automatically translated back into English. Sending any kind of attachment with Voxox is easy and regardless of what you’re sending — photo, video or location — the steps involved are the same. From your Messages screen, open the Media Drawer by tapping the arrow in the bottom left. A “drawer” opens, allowing you to choose the type of media you’re sending. Touch the appropriate icon and select a photo or video or capture a new one right from your app. To send your location, just touch the Map icon. With all these great tips, you’re sure to get that special someone’s heart a-flutter. If not, don’t blame us. We’re a bunch of engineers, after all.